Today iam going to give you a wonderful trick a programmer facing off while dealing with IF statements. 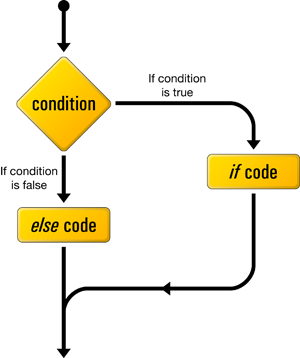 The most important phase of a program is its dynamicity.So without an IF ELSE statement,merely no programmer can write a program with dynamic content.So whats the big problem comes upon is the source file,its size is increasing according to the number of IFs are increasing.So why not just make multiple IFs to a single statement.And be a smarter programmer while others reviewing your source code. How to write multiple IF statements into a single statement? Here comes the saviour CONDITIONAL operator. 11 lines of code into a single line code.Which is better?.Hm.Feel free to use the above trick anywhere in any language that support conditional operator and always be a smarter developer. And don't forget to use the comment box :).